Its been a slow bud-burst this year with warm Spring weather and cold fronts alternating to prolong the process. The slow start to the season has allowed us to keep on top of the wire dropping and maintenance work in the vineyard which is good! There is still plenty of water in the soil, so the vines have a great start. 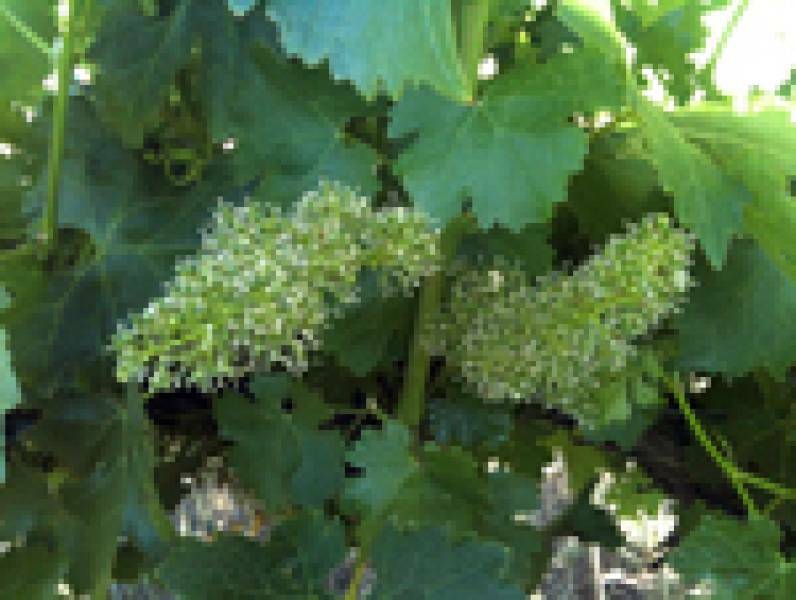 Ever seen a grapevine flowering? Well here you go! We are almost through flowering and on the whole the weather has been dry and warm through this sensitive time. As always there have been some very strong winds. After the rains this has been most useful as it dries out the canopy and reduces the incidence of fungal pathogens.